Everyone has heard of Austin City Limits, but few know much about the origins and long history of this Austin icon. But before we get to tickets, let me entice you with a little Austin City Limits history. The world of music was forever changed on October 14, 1974. It was on this date that a new show called Austin City Limits lit up their now famous Austin skyline backdropped stage for the very first time and began taping musicians to share on Public Broadcasting Stations. Back in 1974, the Austin PBS station was KLRN. Three men – Bill Arhos, Paul Bosner and Bruce Scafe – came up with the idea for what would become the longest-running music program in television history. An up and coming country singer by the name of Willie Nelson took the stage that day, and the world of music hasn’t been the same since. Paul Bosner, one of the original producers of the show, came up with the name “Austin City Limits” during his weekly commutes from Dallas to Austin, as he entered the city of Austin and passed the city limits sign. Austin City Limits is taped before a live studio audience in Austin, and initially broadcast by our local Austin PBS station, KLRU. As of 2012, Austin City Limits has been around for 38 years. 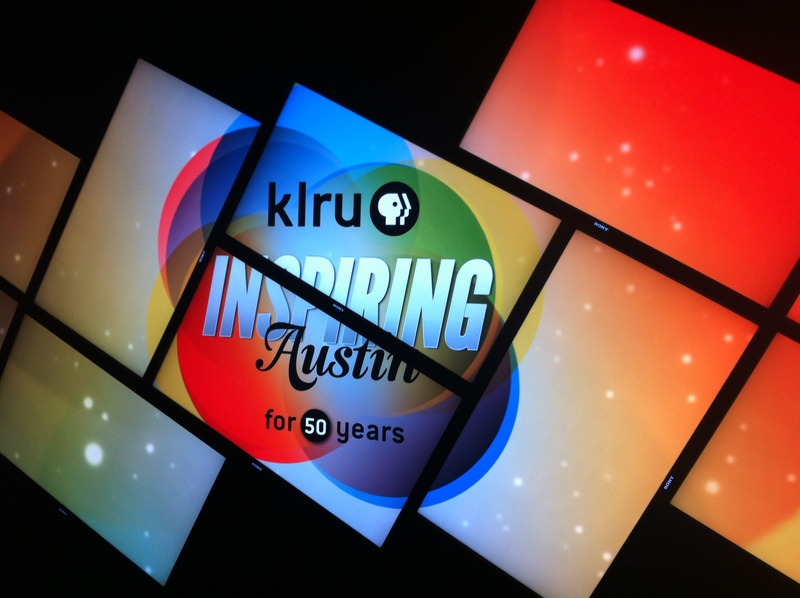 KLRU just celebrated its 50th year! Austin City Limits is the only television show in history to be awarded the National Medal of Arts. This is the highest award that can be given by the United States of America to artists and art patrons, and it is always presented directly by the President. You can see the original medal and the certificate signed by President George W. Bush at the original Austin City Limits soundstage, in Communications Building B on the University of Texas campus. Regarding the history of ACL: “The original studio seated 700. When Kris Kristofferson was just about to go onstage in Season 7, a violent thunderstorm hit the UT campus. At that moment a mouse crawled across two connections and, as a result, blew the power for the entire campus. Studio 6A – packed with 700 + people – stood in the pitch dark, lit their lighters and sang “London Homesick Blues” as they calmly filed out the two side stairwells. Everybody got out safely. The show was rescheduled for the following day. After this incident, a lot of attention was drawn to how many people were going to ACL tapings. We had been flying under the radar, apparently. The studio capacity was reduced to 300 by the UT Fire Marshall and an emergency evacuation plan was put in place. Before then, ACL was mostly all space available tickets that were given to the general public- long lines and plenty of Lone Star beer.” ~ Susan Caldwell, Associate Producer 1981 – 2002. The new digs for ACL at the Moody Theatre downtown has seating for 2,700. You can take a tour of the Austin City Limits soundstage at the Moody Theatre, Monday through Friday at 11 AM. Tours are an hour long and I suggest that you arrive 15 minutes early. Not only do you get a tour of the facility, but you’ll also get to see the legendary music photography of Scott Newton and Jim Marshall. Click here for more information on tours. Because KLRU is a PBS station, they are funded by donations and government appropriations. They receive no direct tax dollars, only appropriations. KLRU only receives 14% of their operating budget from these appropriations, which means they need the public to cover the other 86% of what it takes for them to function. No donations = no KLRU = no Austin City Limits. Visit this page if you’re interested in getting behind KLRU. If you already know you want to support KLRU and want their donation page, here it is. How Do I Get Tickets to an Austin City Limits Taping? 1. You can’t buy passes to ACL tapings. All legitimate passes to Austin City Limits tapings are free. Stay away from scalpers. 2. All public passes for Austin City Limits tapings are always given out in pairs. 3. There is a lottery drawing held for the passes. Normally one week before a taping date, KLRU puts a notice up on the Austin City Limits website, Facebook page and Twitter account with a link to a registration form. Simply fill it out and submit it. Now you are officially entered. 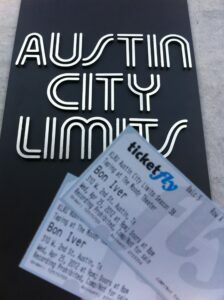 Don’t bother entering more than once because additional entries are tossed out by Austin City Limits. 4. Two or three days before the taping, randomly selected winners are sent an email. So make sure you’re checking your inbox (and your spam folder) a few days before the show, to see if you won. If you didn’t get an email, you didn’t win. But remember: if you don’t enter, you can’t win. So take a shot and make sure you’re following Austin City Limits’ website, Facebook and Twitter. 5. Passes aren’t tickets. If you win, it simply means that your name has been added to one of the best guest lists in the world! If you see someone trying to sell “tickets” to an ACL taping on Craigslist, the classifieds or eBay, you are being scammed. Don’t fall for it. 6. Passes are subject to available space, so make sure you follow the instructions you get in your email and arrive on time. That means at least 30 minutes early! Once capacity is reached as set by the Fire Marshal, you are out of luck even if you have a pass. Austin City Limits does its best to get as many people as they can into the venue before showtime. If people with passes don’t show up, KLRU will often let others in who have been patiently standing by. 7. (* Please see the comment below from Michael, KLRU’s archivist regarding this point. He made some clarifications after the post went live. ~ Eric) Twenty minutes before showtime, KLRU will open the doors to “Space A’s” who have been waiting in the hopes that winners of passes haven’t shown up yet. So if you didn’t win a pass and you’re desperate to attend a certain taping, your best bet is to get to Austin City Limits hours early and get in line for Space A. The closer you are to the front of the line, the greater the chance that you’ll get in, even if you don’t have a pass. Austin wouldn’t be Austin without KLRU and Austin City Limits. They’re one of the driving forces behind Austin being known as the “Live Music Capital of the World.” As a blogger, I’ve had the privilege of meeting the GM of Austin City Limits, Tom Gimbel, and do an interview with him which you can read here. He’s a fascinating guy. 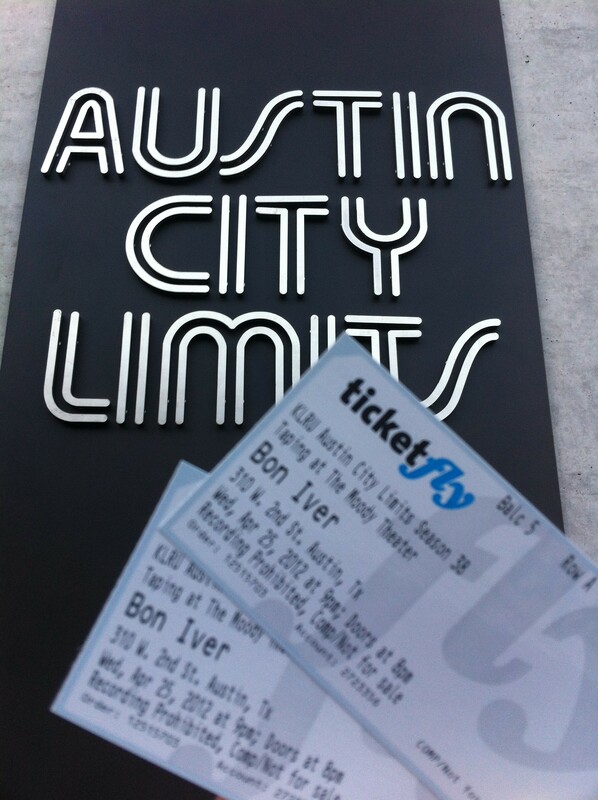 I also got to attend the Bon Iver taping at the new Moody Theatre, which was pretty much amazing. Please do take the time to support both KLRU and Austin City Limits if you are able. And if the folks behind KLRU and ACL are reading this, whether volunteers or the GM himself, thank you so much for what you do. We really and truly appreciate you. What are your thoughts on KLRU and Austin City Limits? Wilco photo via Flickr CC, courtesy of Neff Conner.